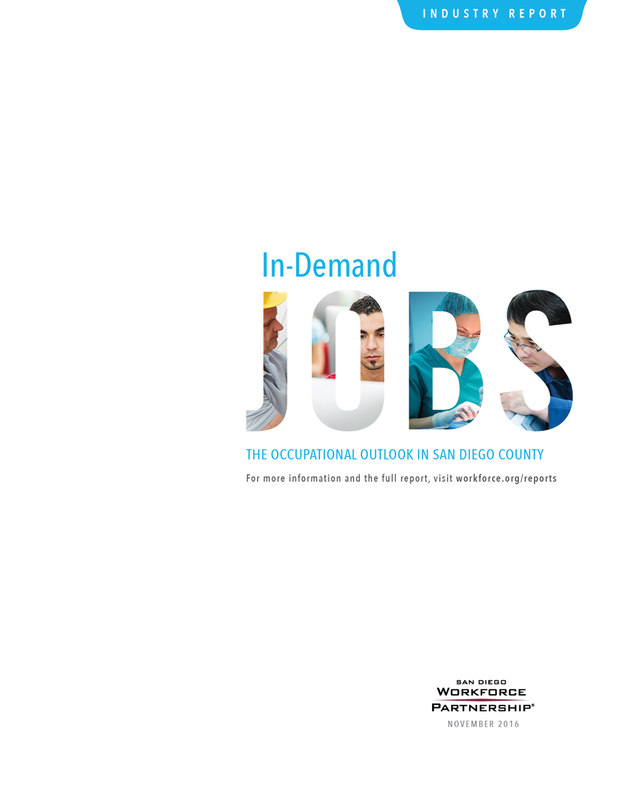 The In-Demand Jobs report uses employer feedback and labor market information to profile 55 of San Diego County’s top occupations. A list totaling 154 In-Demand Jobs describes employer trends and San Diego-specific information on wages, skills, job growth and employer expectations. This report acts as a guide for students and job seekers as they conduct their career explorations to enter or rejoin the world of work. The retail industry sector employs approximately 286,100 workers, making up 19.2% of all jobs in San Diego County. 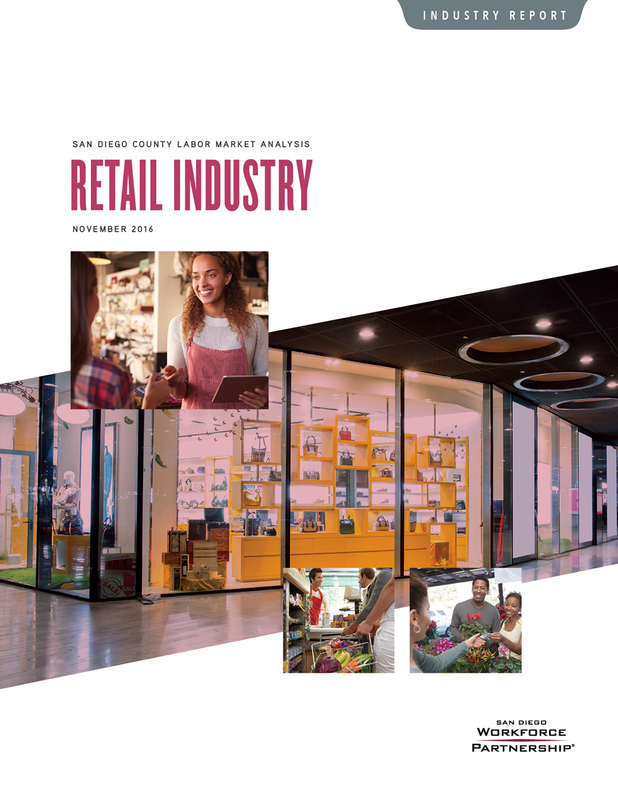 In addition to its considerable impact on local jobs, sales tax revenue and quality of life in San Diego County, retail also plays a critical role in developing essential skills in the region’s workforce and introducing young people to the world of work. This report analyzes the retail labor market and its opportunities for career advancement. One of the San Diego Workforce Partnership’s Priority Sectors, San Diego’s Specialty Foods & Brews sector encompasses the region’s strong brewery, beverage and food culture. 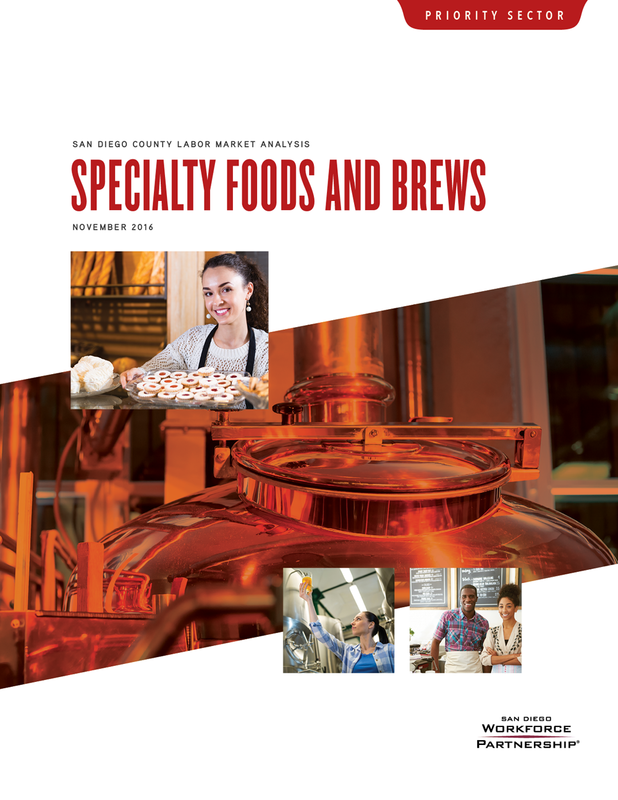 This report serves to inform the workforce development system on how to best prepare the future workforce for these two subsectors, analyzing workforce needs and opportunities in the industry, including hiring challenges and skills in demand from Specialty Foods & Brews employers. 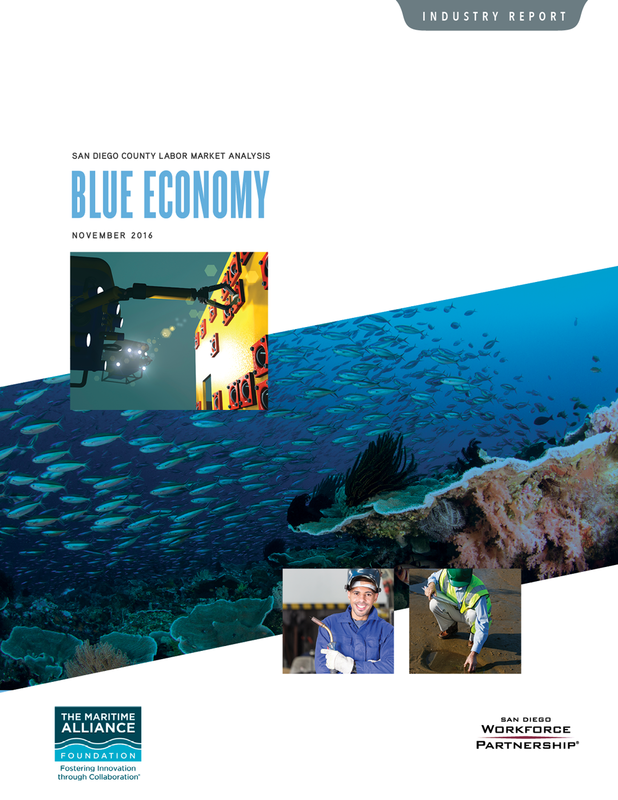 San Diego’s Blue Economy encompasses Blue Technology or “BlueTech” jobs, referring to technologically-advanced activities and methods to solve water-related issues, and traditional maritime occupations that increasingly incorporate BlueTech into their work. This report serves to inform the workforce development system on how to better prepare the future workforce by analyzing job growth, hiring challenges and skills in demand from Blue Economy employers. 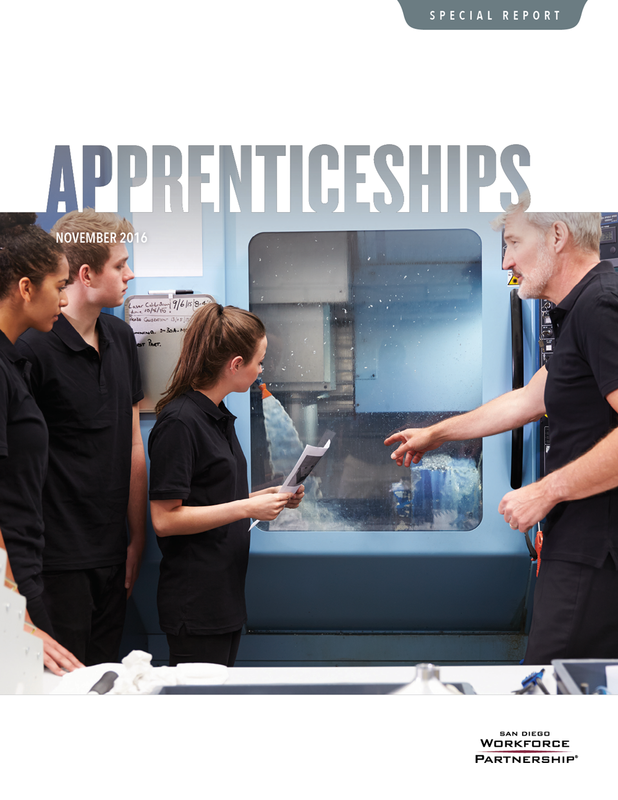 Apprenticeship programs are industry-focused, employer-sponsored training programs that provide both theoretical classroom instruction and on-the-job training and work experience. Nationally, 87 percent of apprentices obtain employment after program completion, with an average starting salary of $50,000. This report looks at current and emerging apprenticeship programs in San Diego County and across the nation. 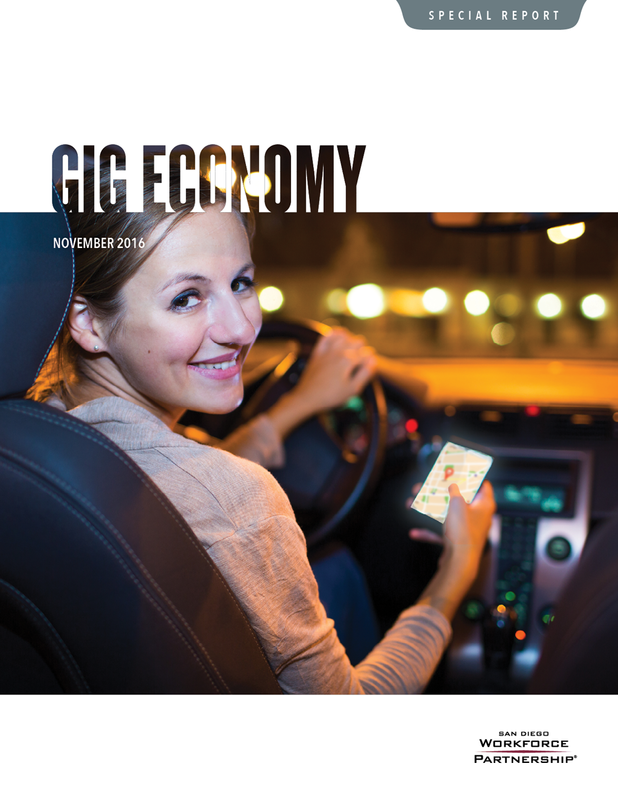 The “Gig Economy” is one of many terms that describe the current nature of the contingent, or self-employed, workforce. The Gig Economy includes the wide use of technology to find “gigs” or short-term jobs in which self-employed workers respond to on-demand calls of customers. This special report examines this emerging trend and its impact on San Diego’s regional workforce. 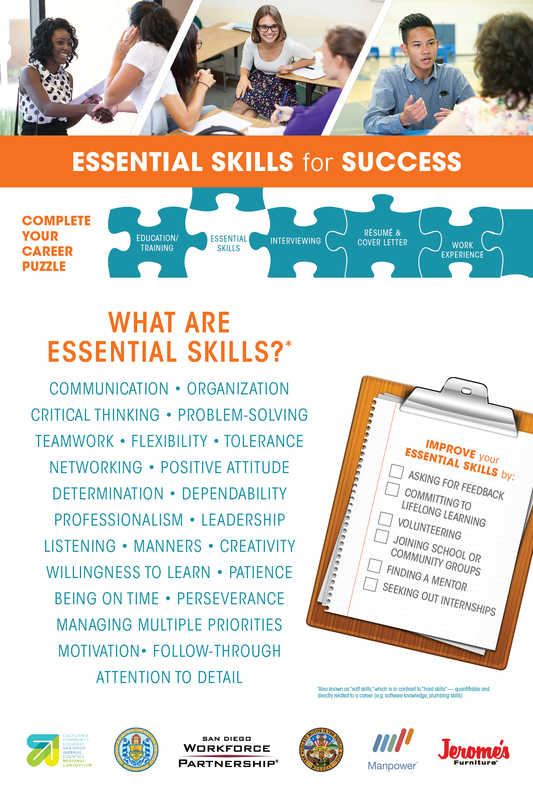 The Essential Skills for Success poster highlights professional skills emphasized by employers as important for career attainment and growth. These posters can be printed at 12×18″ or 24×36″. 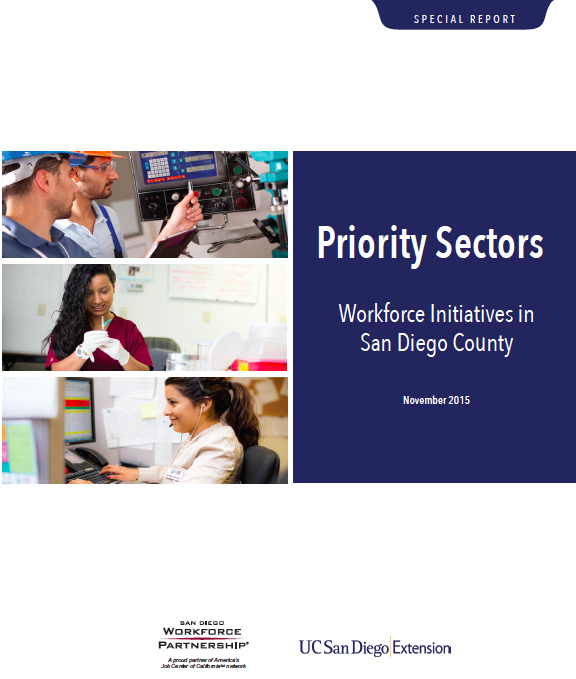 Priority Sectors: Workforce Initiatives in San Diego County is a follow-up study to SDWP’s 2014 Priority Sector reports and analyzes 492 active initiatives in the region addressing workforce challenges presented in the previous research, including an inventory of initiatives related to the five Priority Sectors. 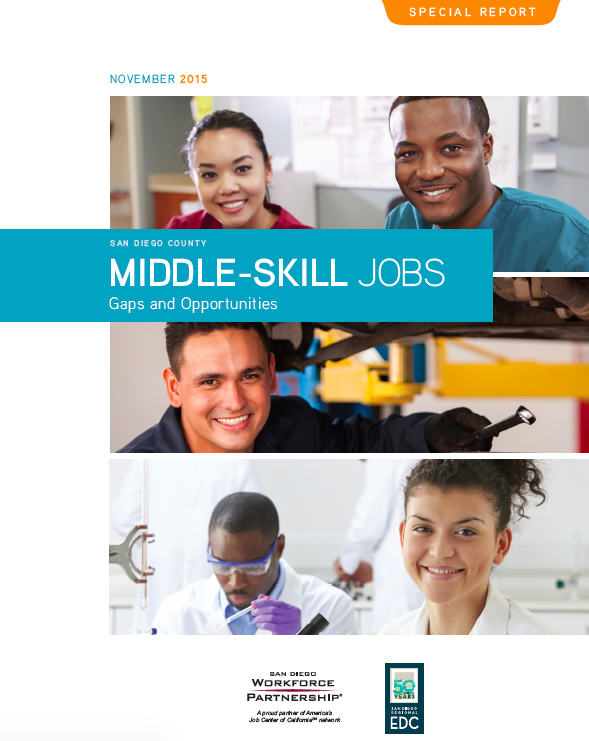 San Diego’s Middle-Skill Jobs: Gaps and Opportunities analyzes the challenges and opportunities presented in more than 600,000 occupations that are considered “middle-skill,” or those that require more than a high school diploma, but less than a four-year degree. The study focuses on three sectors that make up a majority of the middle-skill jobs in the region: Advanced Manufacturing, Health Care, and Information and Communication Technologies. 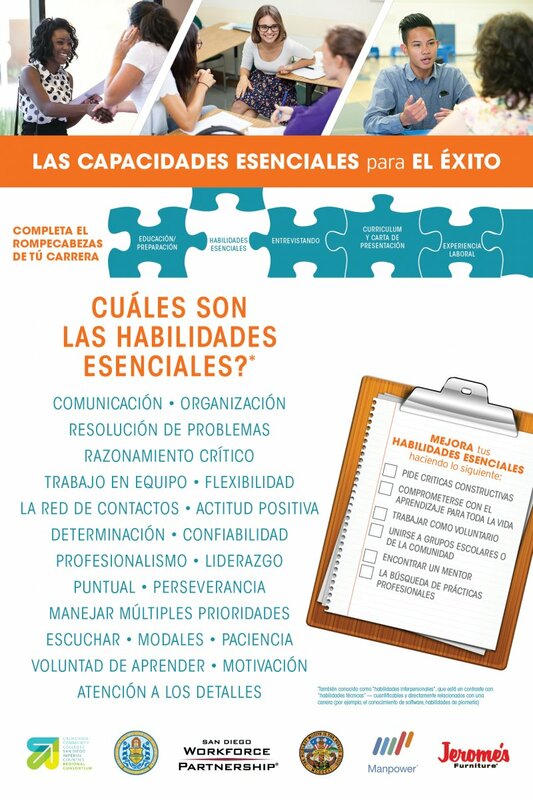 Workforce Needs of Small Businesses in San Diego analyzes the survey results from 347 small businesses across San Diego County’s Priority Sectors. The study focuses on growth over the next 12 months, the challenges that small businesses expect to face in the future, skills necessary to start a small business, and workshops that are useful for workers in businesses with fewer than 50 employees.